Our service offering talking therapy for everyday mental health problems has been shortlisted for positive practice award. Oxfordshire’s Improving Access for Psychological Therapies (IAPT) service for people with everyday mental health problems, has been nominated for a Positive Practice Mental Health Collaborative Award. TalkingSpace Plus is an easy access NHS service offering talking treatments and wellbeing activities to help people overcome common mental health difficulties such as anxiety and depression in Oxfordshire. The service has been shortlisted by the Positive Practice Mental Health Collaborative in the category of Primary and Secondary Mental Health Care Collaboration. TalkingSpace Plus’s relationship with GPs and primary care services is key to offering patients the best possible experience for their mental health and wellbeing. A Single Point of Access for the service for self-referring patients and health professionals including local GPs and specialist mental healthcare teams. Patients able to are access the same consistent quality of mental health support for everyday problems, wherever they live, with TalkingSpace Plus offering support to all people registered with an Oxfordshire GP. The award nomination recognises the innovative way NHS, independent and third sector partners Oxford Health NHS Foundation Trust, charity Oxfordshire Mind and independent not for profit GP led organisation Principal Medical Limited (PML) work together to offer patients the right level of treatment for their individual needs. Patients can benefit from a range of evidence-based interventions from general wellbeing activities, counselling, group workshops, online support, and talking therapies. Clinical lead for psychological services in Oxfordshire Jo Ryder, said: “Through proactive and consistent communication and meetings with primary health care teams and other external agencies TalkingSpace Plus has built a mutual, collaborative and sustained working relationship with primary care colleagues. 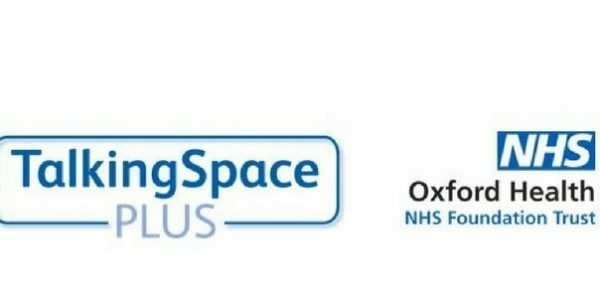 Members of the public registered with an Oxfordshire GP can self-refer to TalkingSpace Plus on 01865 901222 or visit the website www.talkingspaceplus.org.uk. "If I could go back, I would have asked my wife to dance..."